Lambs Lodge in Bradford-on-Tone, near Taunton, Somerset sleeps 2 people. Lambs Lodge near Taunton is attached to the owners’ farmhouse in the grounds of an equestrian centre where there is lots of farm-life including chickens, sheep and of course horses. The property has been beautifully renovated and boasts a lovely wood burner for those cooler evenings. Guests are free to roam around the grounds and take in the beautiful surroundings and the fantastic views across the Somerset plains. Close by is a small village with plenty of shops and local inns, and a 10-minute drive away is the local town of Taunton, with its array of shops, restaurants, pubs and most amenities. This is a great base from which to explore this part of Somerset. Within easy reach are the coastal resorts of north and south Devon. The Georgian city of Bath is also easily accessed with its famous architecture, Roman Baths and Thermae Spa. The city of Wells with its famous cathedral and Bishops Palace, and the mystical town of Glastonbury with its abbey and tor, are not to be missed. There is so much to see and do around this part of the country, the list is endless. The beach is 25 miles from Lambs Lodge near Taunton. With the shop pub and restaurant ½ mile from Lambs Lodge. Lambs Lodge in Bradford-on-Tone is all on the ground floor. Living area: With wood burner, Freeview TV and French doors leading to garden. Kitchen area: With electric cooker, electric hob, microwave, fridge, freezer and washing machine. Electric central heating, electricity, bed linen, towels, Wi-Fi and logs for wood burner included. Enclosed lawned garden with patio. Hot tub for 4 (private). Private parking for 2 cars. No smoking. Holidays at Lambs Lodge run from Friday to Friday. Pets allowed at Lambs Lodge. For a better idea of where Lambs Lodge is, you can see Lambs Lodge on the map below. Lambs Lodge is in Somerset; should you be on the lookout for a special offer, you can find all the special offers in Somerset. It's always worth checking to see what is on offer at the moment. 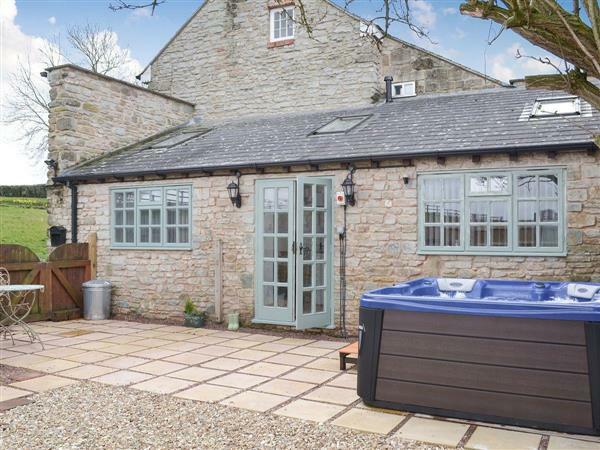 Do you want to holiday near Lambs Lodge (UKC2801), you can see other cottages within 25 miles of Lambs Lodge; have a look to find your perfect holiday location.